Full quality assessment, color grade and clarity plot. Identifies natural vs. treated color. For loose colored diamonds 0.15 carats or more. Describes the color origin (natural vs. treated) for loose or mounted colored diamonds of any size. Color grade included for loose colored diamonds. 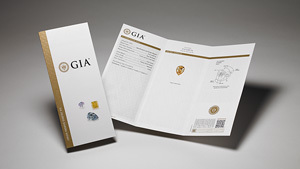 GIA Add-On Services give you further information or security for your colored diamond. GIA Specialty Services offer further analysis and information on your noteworthy colored diamonds. GIA Batch Services utilize GIA-developed technology to analyze and sort colored diamonds based on varying test types.